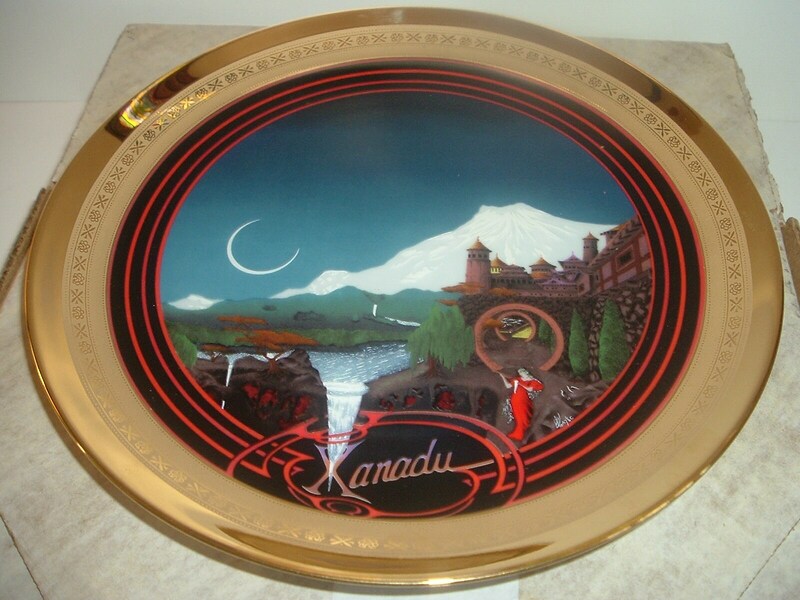 This 1982 Xanadu plate measures approx. 9.25" across. 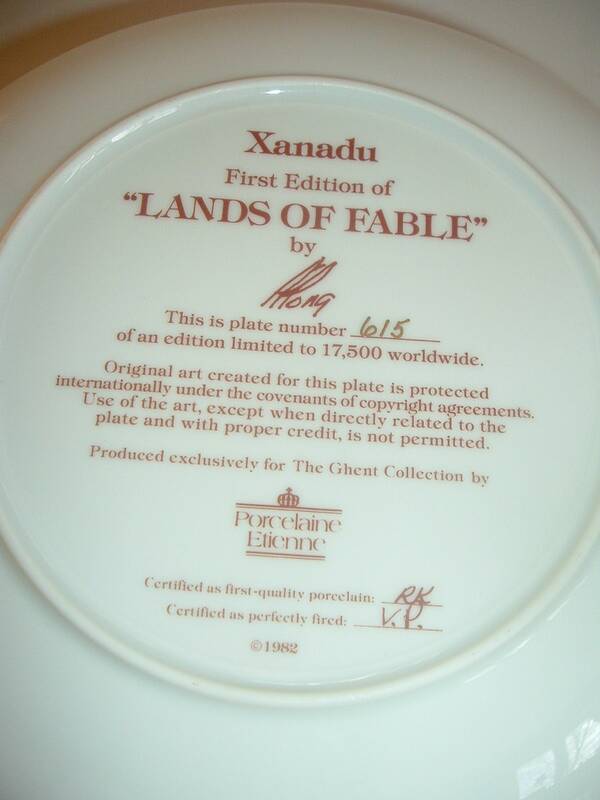 It is the first issue in the Lands of Fable collection, made for Ghent by Porcelaine Etienne, and is excellent with no chips, no cracks, and no wear or scratching. 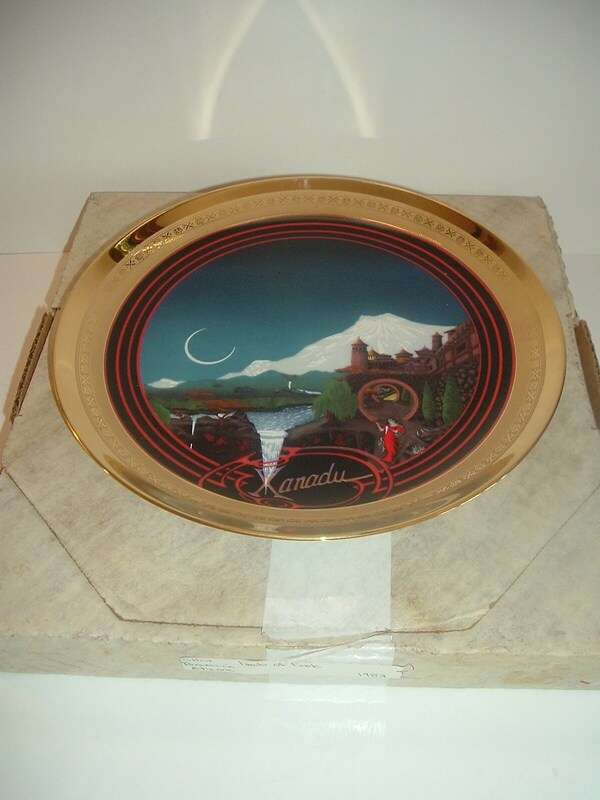 The plate is in its original box. No paperwork with this one. I gladly combine shipping.